TORY RICHARDS: RELEASE DAY IS HERE!!! It's out folks! You can pick up your copy of The Mercenary Way at THE WILD ROSE PRESS. Whoohoo! Gee it seems like it's been a while since I've had a book come out. 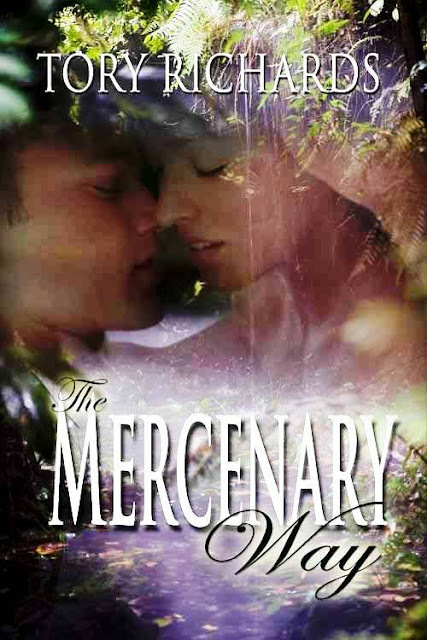 *The Mercenary Way was originally released as Against the Odds under a different publisher. This version has more content, and has been sexed up considerably for re-release. Debbie/Tory...Two author friends that both have new releases on MY birthday. What are the odds? i love the cover, it's gorgeous. i cna't wait to read it. Thanks Tammy! I had mixed feelings about the cover when I first saw it but I love it now. Welcome Michelle! Always nice to meet someone new. Please let me know what you think about TMW after you read it. Thanks!